We’ve seen tons of food parks pop-up in the metro, left and right. So it’s hard to come up with a unique theme that could stand out, seeing as there are already unique pastel exteriors (hello, container turf!) and even one-of-a-kind food presentation (like the fishbowl iced tea in The Yard). But it looks like a food park in Bulacan takes the cake for eye-catching food parks. 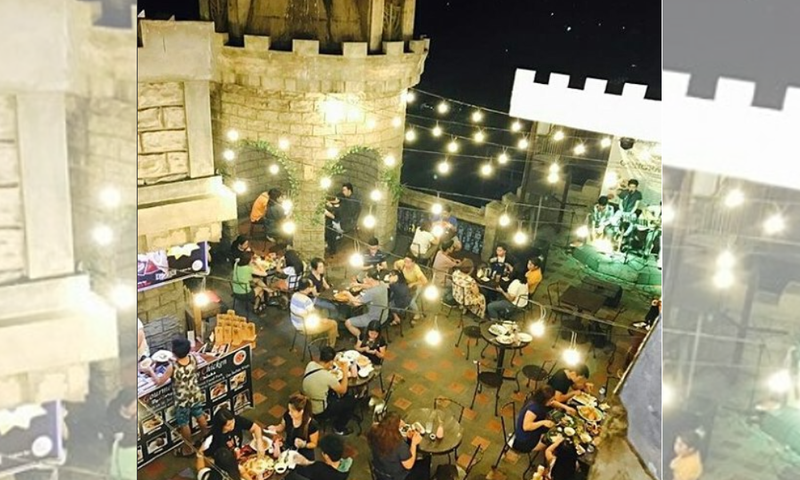 What could possibly be a sight straight out of Game of Thrones, High Ground Food Park isn’t just fit for royals, it’s fit for the extreme foodie. It’s made a soft spot for those who crave Filipino cuisine by providing Pinoy street food options and boodle fight food experiences. However, if you crave foreign flavors, you can chow down on their Japanese, American and Mexican cuisine too. Don’t miss out on their overloaded chunky desserts that can satisfy any sweet tooth. The place is complete with acoustic nights that is perfectly matched with beers that can be found at the Duke’s Bar. There’s a new pitstop to your itinerary once you hear up North! Just remember to bring your most knight-worthy appetite!